MY SCAN from Newtype USA, May edition. Nice scan that's easily cleaned and made into a wall ^__^ . Bit bumpy here and there, but it's all good can be cleand ^_^. 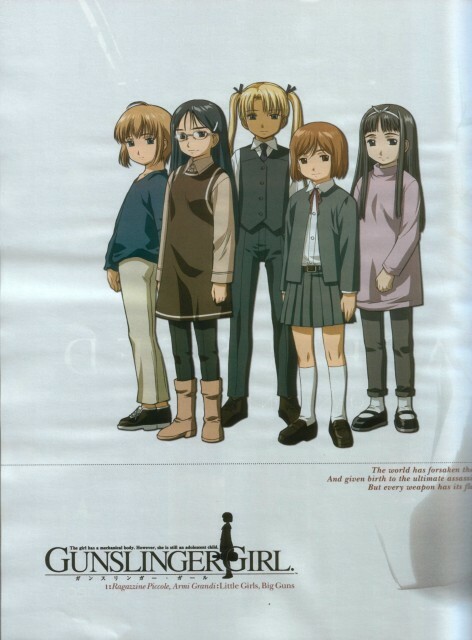 Aa-chan nice job in putting up the Gunslinger Girls Scan from Newtype May issue. Damn I need to buy it. Well thanks for scan. A nice, simple picture. Which is entirely appropriate for Gunslinger Girl. An excellent find. Thanks again. Lovely girls. Thank you very much.